Our Client is a top ten Accountancy Practice with multiple branch offices nationwide. They are the industry leaders in providing taxation and accounts to farmers and agri-related businesses while also providing a specialised service to a significant portfolio of SMEs and non-agri clients. 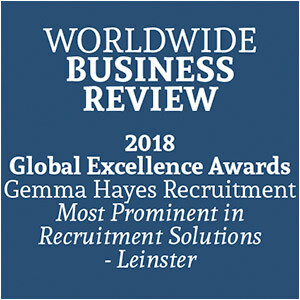 Gemma Hayes Recruitment in conjunction with our client are seeking to recruit a Tax Manager. Our client’s growing tax service is a key part of their development plan. You will join a busy vibrant team at a time of major organisational change, growth and rebranding. The tax department is a team with the firm developing and implementing tax solutions for clients. Our client’s Tax team members are self-motivated and have the ability to plan, control and complete engagements for a diverse portfolio of clients. As part of the team you will be working with a portfolio that consists of Agri companies. Our client’s Tax Team are the market leaders in this sector. Our clients are seeking a Tax Manager to join their growing tax department. You will be responsible for presenting solutions to increasingly complex technical issues to clients within the agri-food sector. You will demonstrate sufficient technical knowledge to develop solutions to complex technical issues, an ability to act on your own initiative and manage assignments on a day to day basis. You will be located in our client’s Dublin office, with nationwide travel when required. • Participating in business development activities and contributes to sales pitches, for own team as well as the wider firm. • Strong interpersonal skills, with proven people development skills to support the development of more junior staff and an ability to build trusted relationships with clients and the team. Our clients take pride in recognising and rewarding hard work and achievement. They offer excellent remuneration packages at all levels. Our client’s Tax Specialist’s package will include – salary, performance related bonus/profit share, professional subscriptions, CPD allowance, flexible working arrangements, and continuous training and support in a collaborative dynamic practice. Due to the urgency of this vacancy, our client is not willing to go down the route of work permits/visas/sponsorship, therefore, all candidates must have permission to work in Ireland.